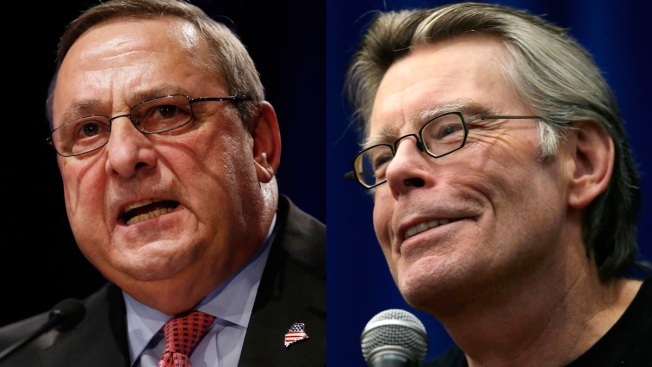 Stephen King says Maine Gov. Paul LePage should "man up and apologize" after claiming the author has moved away and doesn't pay income taxes in Maine. While arguing for eliminating Maine's income tax, LePage said during his radio address this week that states without an income tax, like Florida, have lured away Maine residents, including King. King spends winters in Florida but tells the Portland Press Herald that he and his wife paid about $1.4 million in Maine state taxes in 2013 and likely paid about the same for 2014. King says his foundation awards $3 million to $5 million in grants annually, mostly in Maine. A revision of LePage's address released Thursday no longer mentions the author. LePage's spokesman did not immediately respond to an email requesting comment.